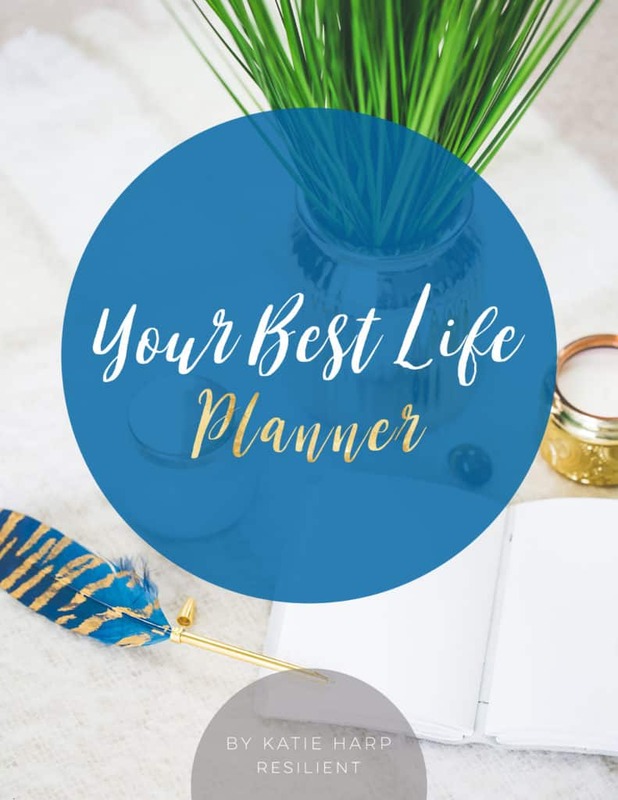 If you’re ready to improve your life and keep track of all your progress and goals, check out Your Best Life Planner. 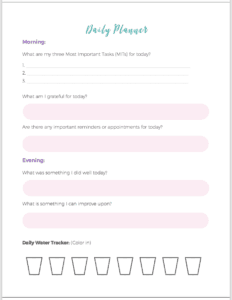 It’s a kit of 36 digital printables that help you plan your days with monthly, weekly, and daily planners, set goals, vision your future, create self care and gratitude lists, and so much more! 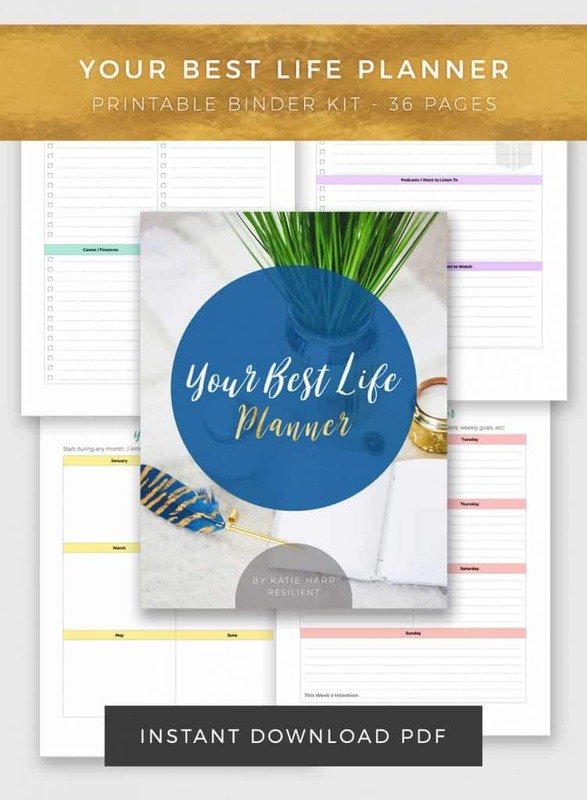 Live your best life with Your Best Life Planner! 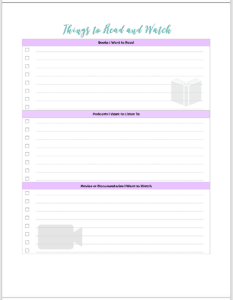 It's a life binder and printable binder kit full of different printable planners, monthly planners, weekly planners, daily planners, to do lists, and more to help you live a happier life. 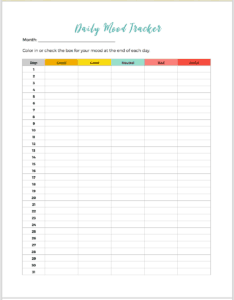 Make lists of habits or goals you'd like to create in your life or in the future, then track them with our habit tracker. Also keep track of your moods with a daily mood tracker or "Year in Pixels" bullet-journal style tracker. Write down your favorite quotes on a blank quote page, create an inspiring vision board, create a list of self care ideas and books you want to read, and more! 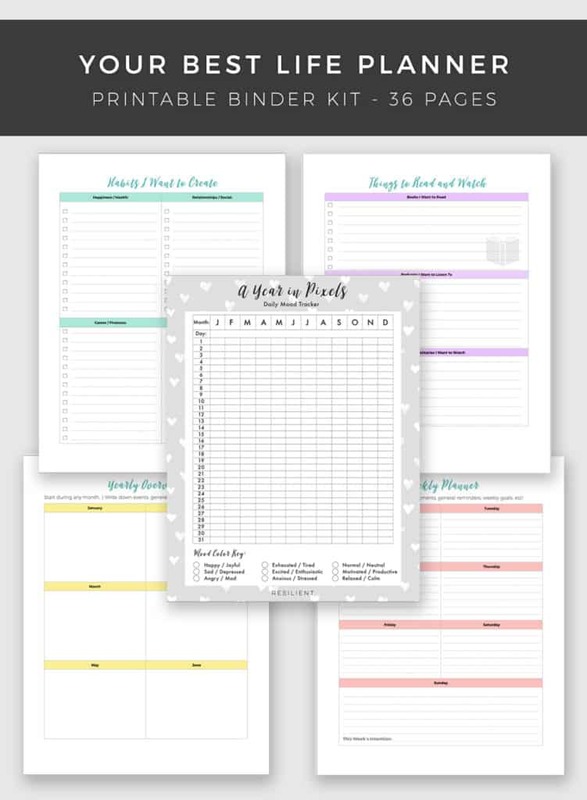 Plus 3 free inspirational quote printables in among the planner pages! :) All pages are US letter size 8.5" by 11"
Your planner will be delivered as a single 36 page PDF file. Start planning for your new future today. Sign up and download Your Best Life Planner instantly!